Even though Japanese foods are more popular than their drinks, the traditional beverages of the Land of the Rising Sun also deserve to be mentioned. Just like in their cuisine, rice plays a very significant role and many drinks have rice as the main ingredient. According to some stereotypes, most of these traditional Japanese drinks are believed to be bizarre and disgusting, but if you taste them, you may have a pleasant disappointment. If you have any opportunity to taste some traditional Japanese drinks, be opened to new things and do not hesitate to try it out and drink at least one sip (otherwise, refusing a drink is sometimes considered rude in Japan). 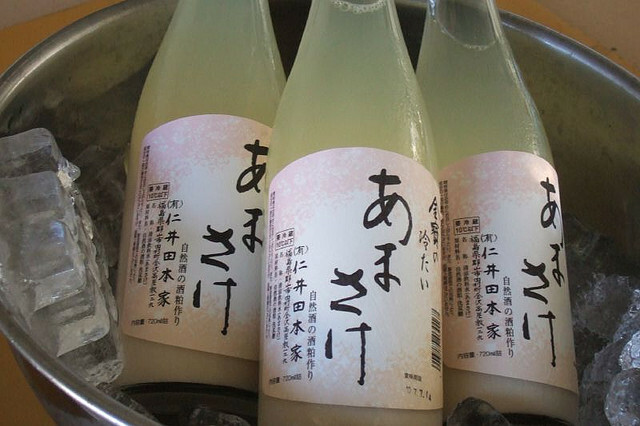 Many Japanese drinks are considered extremely delicious, for example sake is very popular and tasty. This article presents the best traditional drinks of Japan. 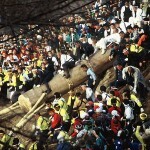 Sake is the symbolic beverage of Japan. It is made from fermented rice, with similar methods to that of making beer. It is also called rice wine or Japanese liquor. Depending on your taste, you can drink it warm or cold. There are thousands of sake brands, but for us, tourists, probably all these brands would have the same taste. Of course, there are cheap and expensive quality sake brands, it all depends on you which one would you like to taste. This distilled beverage is made from rice, potato or barley. With 25% of alcoholic volume, it is stronger than sake, but weaker than vodka or whisky. 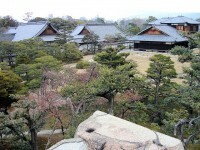 It is not as sweet as sake, and its flavor is said to be nutty and earthy. 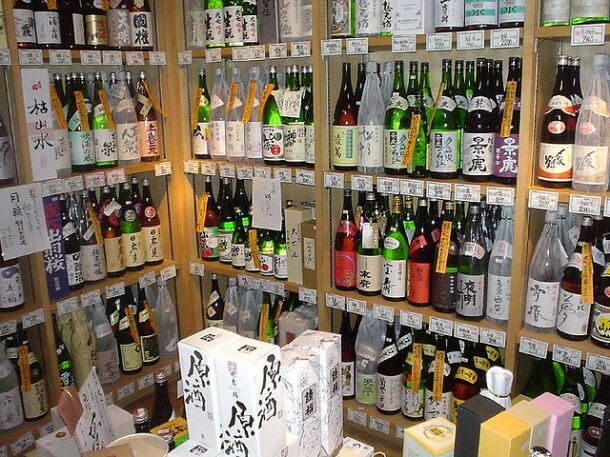 Shochu is originated from Kyushu but nowadays it is produced all around Japan. 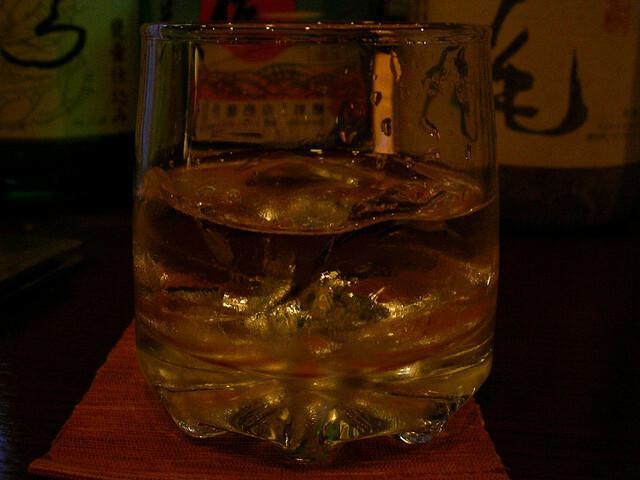 Umeshu is another traditional Japanese beverage, similar to liquor and it is made from sugar and steeping fruits. 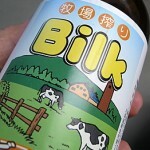 It is a weak drink, usually containing 10-15% of alcohol. It has a sweet taste and many people who don’t like alcohol claim that umeshu is indeed tasty. 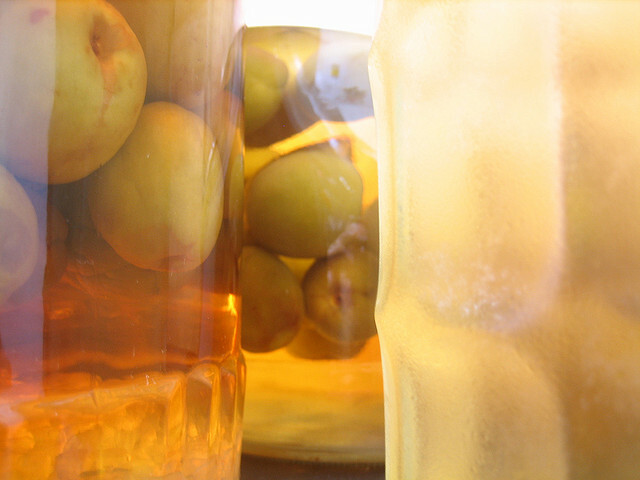 The most delicious umeshu is made from plum, but other fruits, such as apple or ume have great tastes as well. Amazake is also made from fermented rice and it has very a low alcohol percentage, but non-alcoholic varieties of Amazake are available as well. This traditional drink is still served at inns and teahouses. This nutritious drink is said to be a good cure for hangovers, so if you drink too much sake or shochu, it’s time to switch to amazake. Awamori is the traditional drink of the Okinawa area. It is a very strong alcoholic beverage, with an alcohol percentage of 30-43! It is usually consumed with water and ice and many restaurants use it to mix excellent cocktails! 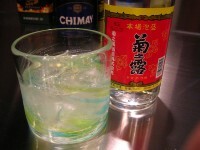 If you are a fan of vodka, you will probably like the taste of Awamori.